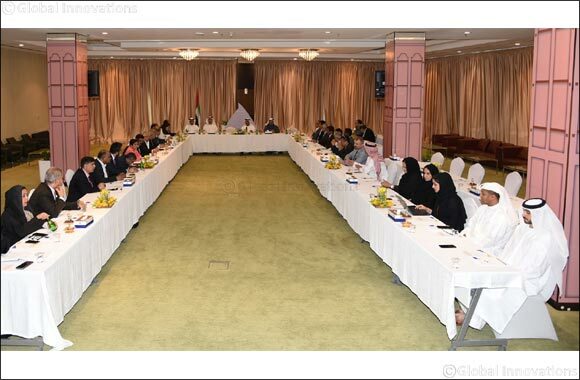 Dubai – 26 March 2019: Director of Dubai Customs, Ahmed Mahboob Musabih reaffirmed the important role the Dubai Customs Consultative Council plays in generating ideas that shoulder Dubai Customs in building its future strategies, maps and plans. Musabih chaired the first quarterly Consultative Council meeting in 2019 which saw a very positive turnout from different business and group representatives in the emirate. Dubai Customs has recently hit a record by scoring 97.49% on Smart Dubai’s Happiness Meter. Musabih said Dubai non-oil trade maintained its levels against a backdrop of economic turmoil and global conflicts and the vague British position on Brexit. Europe is one of Dubai’s main partners. Their trade with Dubai makes 19% of the total trade, he said. More than 18,000 companies based on 24 free zones and 37 customs warehouses can benefit from the Virtual Stock Guarantee facility, in addition to customs warehouse companies willing to use it to re-export their goods solely through Dubai’s air and sea ports, and the UAE land exits. The consultative council members had a number of suggestions including one from the Dubai Computer Group (DCG) of establishing a mobile phone assembly factory in Dubai, and members also discussed means of strengthening the activity of re-exporting electronics. Mrs. Nassim Saeed Al Mehairi, Senior Manager, Statistics & Studies Section briefed the members on Dubai latest trade figures of 2018. Dubai trade has grown 72% between 2009 and 2018, with 44% growth in trade volume. Edris Behzad, Director of Client Happiness Department talked about the Dubai Loyalty Program. The first of its kind in the world initiative was shortlisted by Dubai10X, to be implemented and generalized. The program will see Dubai government departments give points to clients for their transactions and payments. These points go to a central “reward bank” and translated into incentives and discounts. The program is expected to see light at the 4th quarter of 2020.